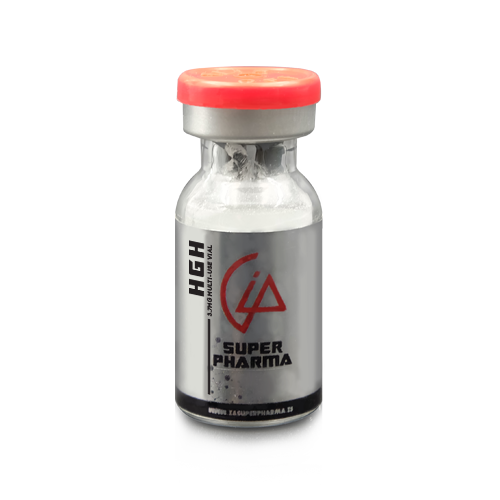 What do HGH supplements itself do at higher doses, exclusive of what may happen from released IGF-1? In skeletal muscle, GH at supraphysiological doses interferes with insulin signaling, decreases glucose uptake, increases fatty acid uptake, and increases the basal rate of lipid oxidation (fat burning). Overall, the effects promote anabolism and a metabolic shift towards fat-burning over glucose-burning. At normal GH levels, the story in muscle is largely the same as above, except that normal GH levels actually support normal insulin signaling, rather than impair it, and do not cause abnormal lipid storage. In adipose tissue, GH increases lipolysis, decreases lipogenesis, decreases glucose uptake, and decreases the local activity of corticosteroids by downregulating 11βHSD1. Some of the increase in lipolysis appears to be from upregulating adipose β2 and β3 receptors. All this helps in fat loss or to help in partitioning nutrients towards muscle gain. Additionally, the increase in serum free fatty acids produced from increased lipolysis appears to be GH’s mechanism for increasing muscle anabolism. When this increase in free fatty acids is blocked, GH no longer increases muscle anabolism. 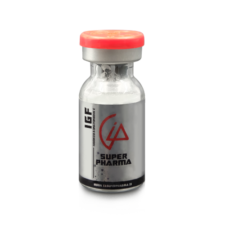 In both muscle tissue and the liver, HGH supplements also stimulates the production of IGF-1. IGF-1 produced by the liver provides systemic effect; the effect of IGF-1 produced in muscle is thought to be mostly local. In skeletal muscle, IGF-1 stimulates glucose uptake, the opposite effect of growth hormone itself. It also promotes protein synthesis, reduces catabolism, decreases the breakdown of glycogen, and can increase the number of nuclei per muscle cell by promoting myoblast proliferation and fusion. That last part is how GH or IGF-1 use can profoundly affect the potential for muscular size. In adipose tissue, IGF-1 has relatively little effect. It does not appear to affect lipolysis or lipogenesis. While IGF-1 alone can aid leanness, this is principally from the effect on muscle and overall metabolism, not from a direct effect on fat cells. In the liver, IGF-1 has a rather little effect as the liver has few IGF-1 receptors. The liver’s principal involvement with IGF-1 is as a producer of it in response to GH, rather than as a responder to it. Unreconstituted growth hormone vials should generally be stored under refrigeration but may be kept at room temperature for short periods, for example, while shipping. Vials of GH are reconstituted with a convenient amount of bacteriostatic, sterile, or sterile saline water for injection. For example, an 8 IU vial can conveniently be diluted with 0.8 mL or 1.0 mL of water. In the first instance, each 0.1 mL, which is marked “10 IU” on an insulin syringe, will provide 1 IU of GH. This would allow easy calculation for any injection amount. Other amounts of water, such as 1.0 mL, may also be used. A problem with using small amounts of water can be that after drawing everything possible from a vial, a substantial percentage of it may remain, causing significant loss of GH. The loss can be about 10%. One solution is this: Reconstitute your next vial by first adding the needed amount of water to the near-empty vial, then drawing it, and finally adding to the new vial. This will transfer nearly all the remaining GH to the new vial. There is no need to worry about resulting dosing error: over time everything averages out. If that method does not appeal, another solution is to use a larger amount of water for reconstitution. For example, 2.4 mL of water can be used for an 8 IU vial. Each 0.3 mL of injection then provides 1 IU. And if the last 0.1 mL cannot be drawn from the vial, this is them only about a 4% loss. That’s still a waste, but it’s much reduced compared to reconstituting with less water. Reconstituted vials should always be refrigerated, although a vial accidentally left at room temperature for a single day need not be discarded, if completely confident about its sterility. Injection is typical with an insulin syringe, and is intramuscular (IM) or subcutaneous. As a personal opinion, IM is better as the delivery is a little faster, better matching natural release of GH. Intravenous injection provides even faster delivery of course but as personal opinion is not worth the added trouble. If personally finding it convenient, though, it’s another option. 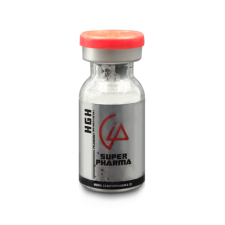 If you are looking for hgh for sale, you are on the right place! You can also visit our list of peptide steroids to see other related products. Visit our bodybuilding guide to read informational articles about health and bodybuilding.